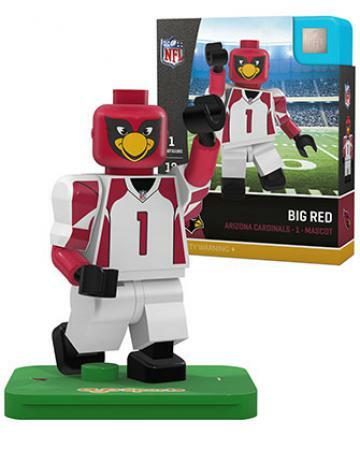 Get in the game with your own OYO Sports NFL mascot minifigure! Bendable knees and elbows mean that your mascot minifigure is ready to dance, cheer and jump! With details and accessories like an authentic uniform, football, helmet, removable face mask, water bottle and more... get ready to bring football action home to you! The perfect gift for the biggest (and littlest!) sports fan in your life.